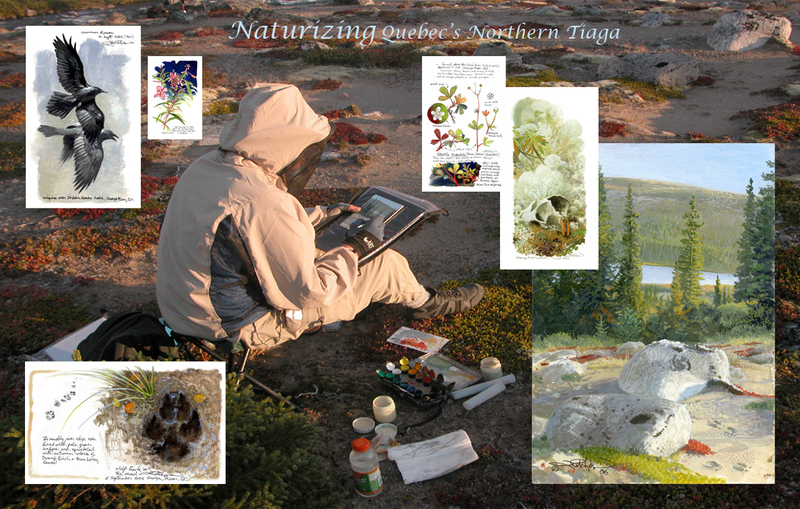 “Naturize” or “Naturizing” are words I created and use throughout this blog in reference to how I engage the natural world through the eyes of an artist/naturalist. 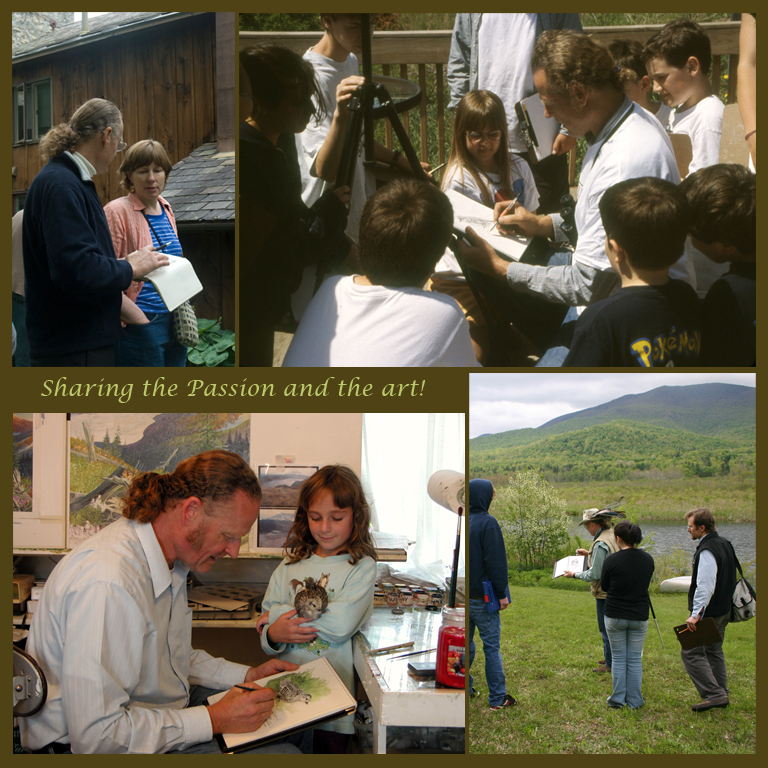 I use it as a verb to define the action of combining my passion for nature with my passion to share its uniqueness and beauty through art and journaling. 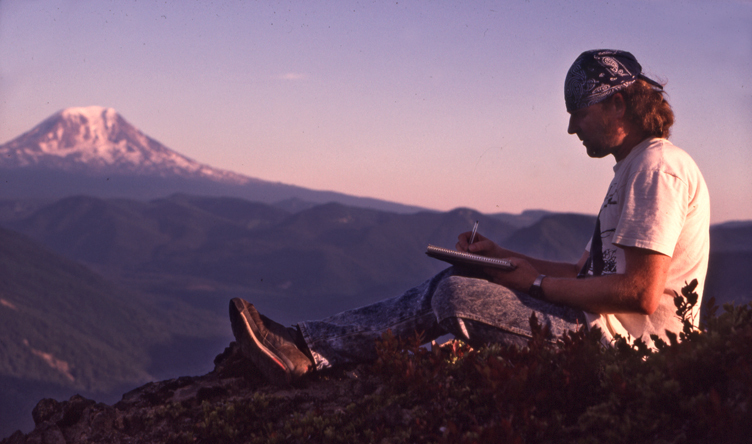 Naturizing is the process of exploring nature through journaling, drawing and painting – then, sharing the experience with others. BLOG ALERT – do not confuse my term naturize with naturist or naturism – which is to go without clothes as a social practice! While I do enjoy a certain amount of public “exposure”, I’m a bit more conservative than a naturist. Although, my wife, Sue, did tell me she once looked for Piping Plovers along a nudist beach. As the story goes she did find the plovers alright – but never told me where that beach was! If you watch TV you will quickly realize what a fast-paced society we live in. My friend Jim was right when he told me “we are slaves to immediacy” . Certainly most of the advertisements promise some form of instant gratification. We need to find ways to teach our children (and ourselves) to have tolerance and patience. Naturizing does that for me. Finding a quiet spot to just wait, watch and sketch is usually how I begin a journey of discovery. 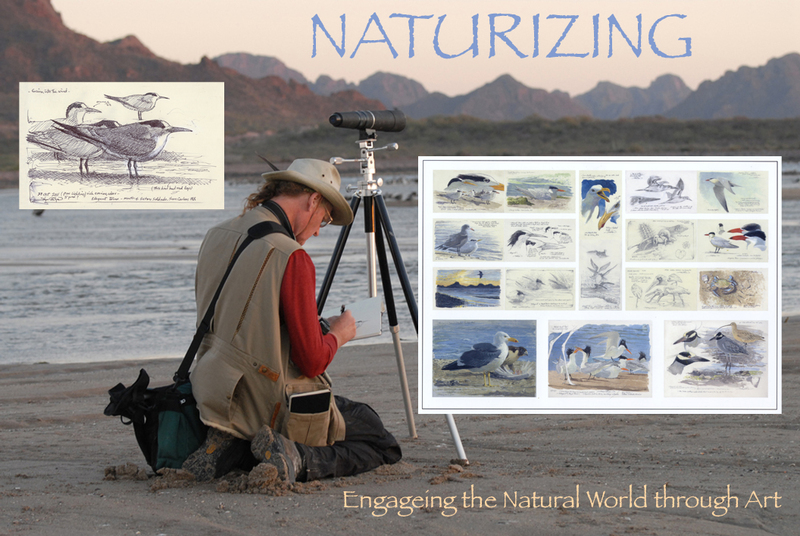 Naturizing is more than just trying to be “at one with nature” – I’m using my gifts of observation and recording to better understand nature while sensing why I resonate with the subject. It’s all about experiencing and connecting to nature with my heart mind and soul. It is with my heart that I love all the intrinsic beauty I find in nature – with my mind I can record, assimilate and create new works of art – and in the quite contemplative moments, nature’s spirit frees my soul. When I’m sketching from life I make a cognitive connection to my subject by convincing myself I’m touching the surface of the object with my pen – as if I were touching the rough bark of a tree with my fingers, then, feeling its paper-thin leaves in contrast. Thus making the act of drawing both experiential and sensual. Winston Churchill once said, “we make a living by what we earn, but we make a life by what we give”. That is a great statement because it is so true! I believe it is very important to share what we learn in life and whenever possible, pass on to our youth the excitement in discovering natures unique beauty. In sharing our gifts we are given an opportunity to be a positive influencer. By sharing our gifts and abilities we not only find purpose in life we become positive influencers to our youth!